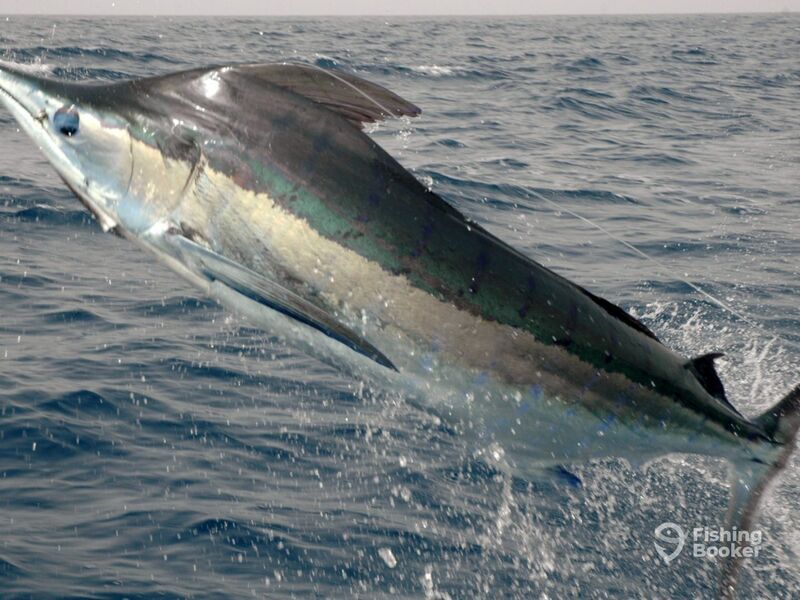 If you’re looking for monster Billfish in Cape Verde, look no further Cape Verde Marlin. 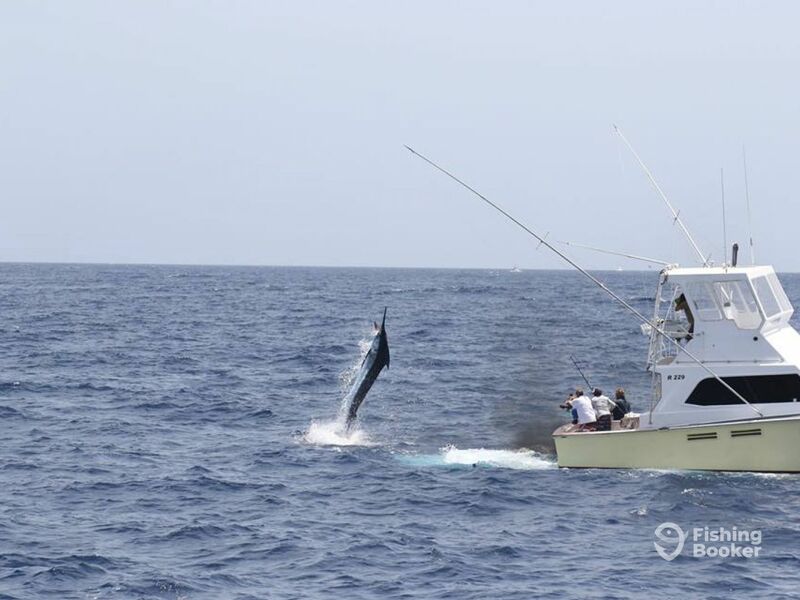 As the name suggests, this seasoned charter company specializes in getting you and your group on the biggest Blue Marlin out there. The fish here have to be seen to be believed, so climb aboard and let them show you just how good the country’s big game bite is on a multi-day fishing extravaganza! 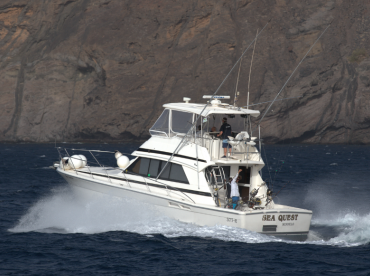 You’ll spend 5 days aboard the ‘Di Meu’, a 40’ Pacemaker sportfishing yacht powered by twin 440 HP Yanmar engines. The boat has room for up to 6 guests and features everything from staterooms and a flybridge to a full galley and a private bathroom to let you enjoy your trip in comfort. All of Cape Verde Marlin’s trips include lodging for guests – get in touch with your captain to find out more, and to discuss options such as your room size, and the delicious breakfast on offer! The Di Meu boasts cutting-edge electronics from Furuno, including GPS, sounders, plotters, VHF transmitters, and a 64-mile-range color radar. Everything you need to track down some real sea monsters. 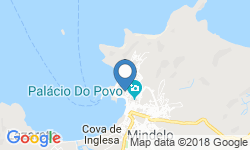 Once you find them, her Pompanette fighting chair and stand-up harness will take the strain against the monster Blues Cape Verde is known for. The boat is outfitted with some serious tackle, too. Normic trolling rods in 50-lb and 80-lb ranges match with Shimano reels set up for anything from 50-lb 10 130-lb test. She also has lighter Penn Senator 30-lb and 50-lb stand-up gear if you really want your work cut out for you. Add in a mix of live bait and the latest lures and you’re ready for action. You’ll be fishing with a skipper who speaks French, English, Portuguese, Spanish, and a little bit of Italian, so don’t be afraid to ask questions. 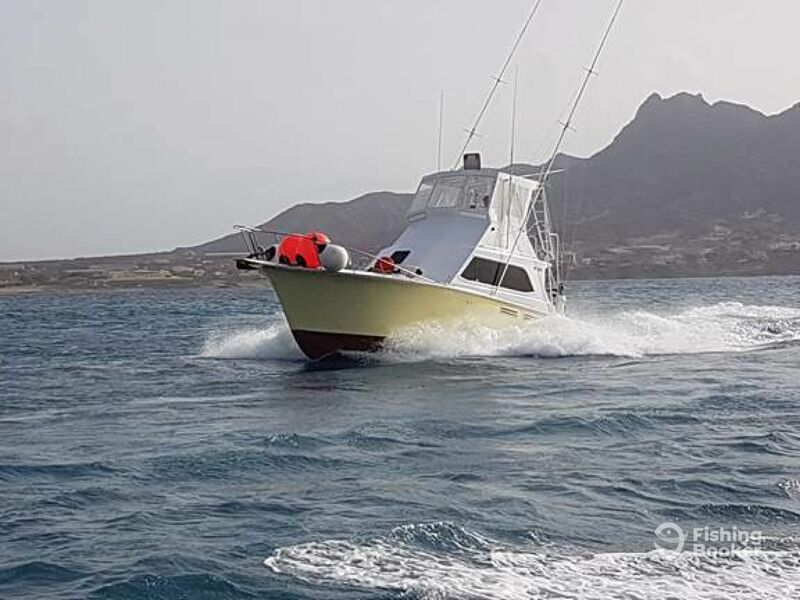 A great boat with a skilled crew, fishing some of the best waters in the Atlantic for the world’s most prestigious gamefish – what more could you ask for? 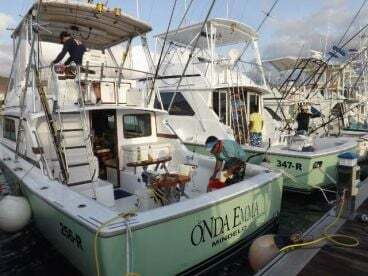 This is your very own slice of bucket list sportfishing, so climb aboard and get ready for a trip you will never forget! 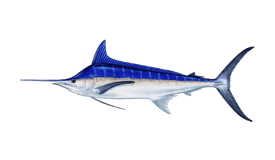 Spend the whole day on the water, heading to the bluewaters just a short ride from town to target Blue Marlin, Yellowfin Tuna, Mahi Mahi, Wahoo, and deep-water reef fish like Amberjack, before relaxing in a beautiful hotel with ocean views! 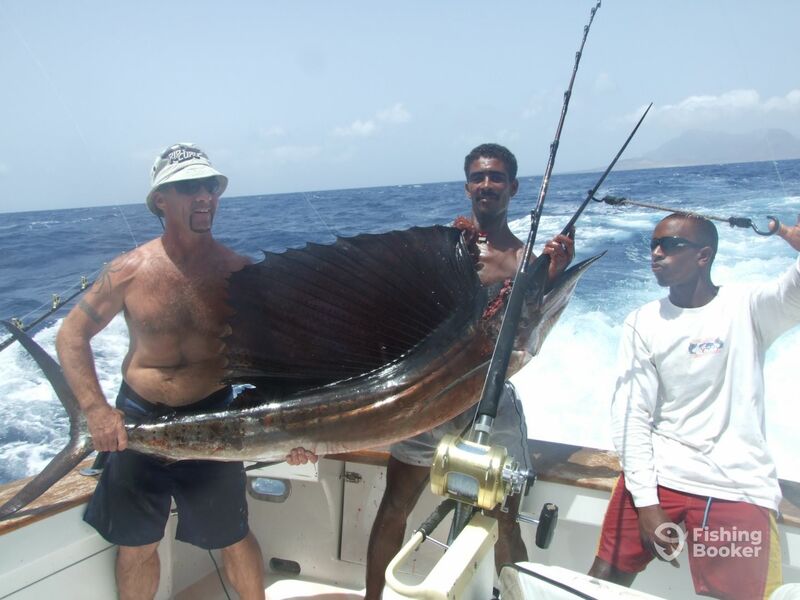 You'll get to take in the best fishing and sightseeing that Cape Verde has to offer for 5 days. This trip includes breakfast, lodging at your captain's hotel in either double or twin rooms, and is for 4 guests only. 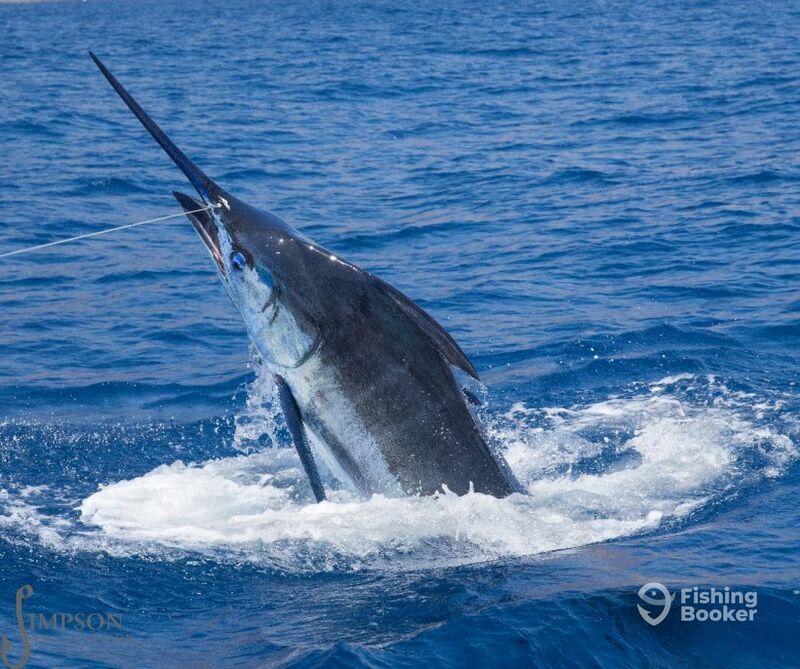 Join your captain for 5 incredible days of fishing and relaxation in Cozumel! 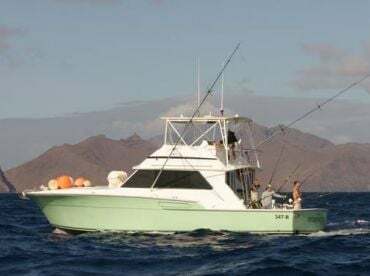 Your trip includes all the fishing gear you'll need to hook Mahi Mahi, Marlin, and other hard-fighters, as well as lodging in a stunning location. Please note that this trip is for single rooms only, and for a maximum of 6 guests. Want to book double rooms, or a mixture of single and double? Just speak to your captain to arrange this! 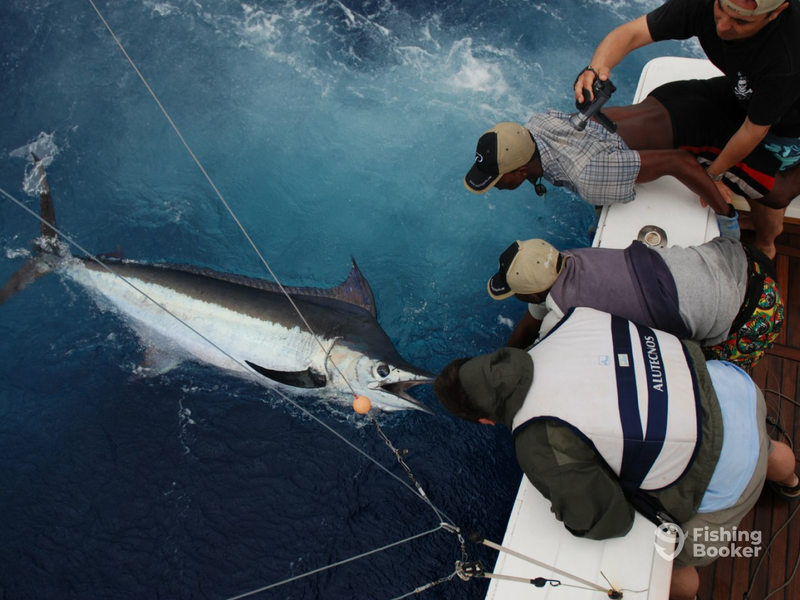 Join your captain on this angling extravaganza, and get ready to fish the beautiful waters of Cape Verde and relax in a first-class hotel, too. You'll be provided with breakfast to start off your day, and will be equipped with all the necessary fishing gear to reel in your dream catch. How much angling you do is up to you – talk to your captain when booking to discuss what each day of your trip will look like! This trip is for 2 guests max, and includes a double or twin room at your captain's hotel. Pacemaker (Saltwater fishing) построена в 1989, обновлена в 2013. Мотор – 2 440 л.с. Yanmar, максимальная крейсерная скорость – 25 узлов. Трансфер из отелей или пристаней в Минделу доступен и включен в стоимость. 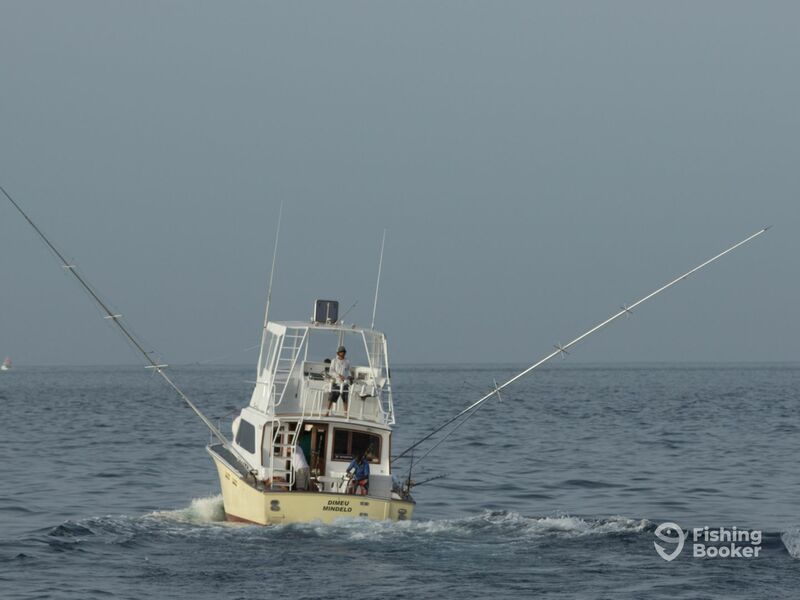 Cape Verde Marlin is owned and operated by Captain Didier Jeanne. He started fishing in 1973 when he was 17 years old and never stopped. After moving to Cape Verde in January 2002, he started running charters as a career. He now operates 2 boats, the "NHA Cretcheu" and the "Di Meu", working with skilled captains to put clients on huge fish aboard both vessels.